YouTube stardom is a weird thing. Some have characterised it as the most modern form of celebrity, but the path to it is mostly spent sitting in front of a computer, eyeing trends, making sense of AdSense and making sure your videos strike with maximum impact. While any level-headed person can see that the celebrity life is far from a desirable one, YouTube fame is seemingly even worse. It takes a long time, a huge amount of effort and a metric ton of luck to even get on the radar, and once you're there, you have to work even harder to stay relevant. For this reason, YouTube stars can often come across as bizarre caricatures, becoming more and more cartoonish as their reputation accelerates. Case in point, PewDiePie. Felix Kjellberg is indisputably the biggest YouTuber in the let's play format. Some love him, some hate him and some are utterly perplexed by his success. It's difficult not to wonder how he sees it, though, and for the first time we might have a bit more insight. Some months ago, he did a playthrough of an awful-looking game called YouTuber's Life, meant to be a simulation of, well, a YouTuber's life. He went through the experience with an uncharacteristic amount of cynicism, probably because he was having his own lifestyle reflected back at him through bizarre rose tinted meta-goggles. 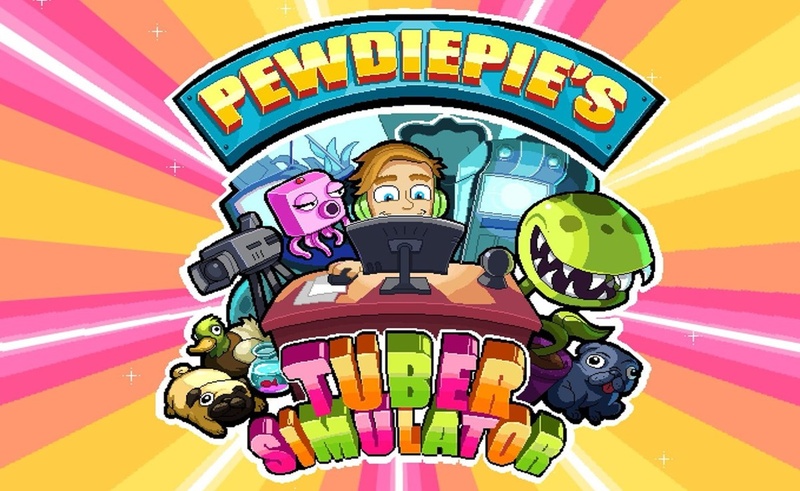 As it turns out, he's into that, as PewDiePie has actually developed his own game in a similar vein - Tuber Simulator - with the key different being that this game makes being a famous YouTuber seem pointless and awful. As you play, PewDiePie himself will emerge from time to time to dispense advice, but mostly just berate you, and remind you that you'll never be as successful as he is. Arrogant? Perhaps. Self-deprecating? Possibly. A fascinating examination of the ties between social media culture and capitalism? Very much so. Tuber Simulator is one of those things that would be genius if all the subtext was intentional, but it's near-impossible to tell where the intentional satire ends and the unintentional begins. If nothing else, this proves that PewDiePie is at least marginally self-aware, but anyone who saw his South Park episode kind of already knew that. The question is, if you're aware of the pointlessness of your career, but you carry on with it anyway, what's that awareness worth? Only PewDiePie himself can answer that, so let's gently pluck him up, place him out of the equation and discuss the game itself. It's very depressing, you start out in a tiny, windowless flat with nothing but a desk and computer. Each in-game day, you have to figure out what the 3 big 'trends' are an make videos which fit that bill in order to build up views and subscribers. Views and followers net you currency, which you then spend on swag to adorn your miserable cave with, until it's not miserable anymore. Beyond that you just keep accumulating subscribers until you overtake PewDiePie on the leader board. That's it, that's the whole game. It's like an unholy mixture of Papers, Please and every god awful in-app purchase app game you've ever grimaced at on the download charts. 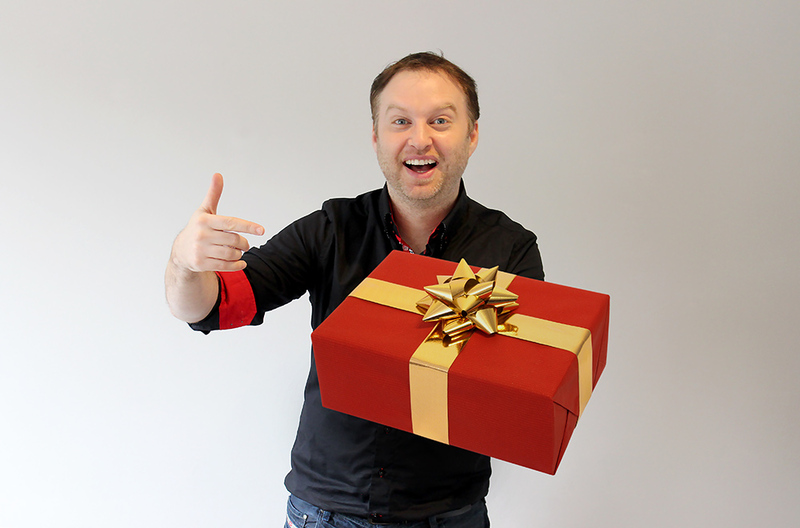 It's not exactly shocking to learn that YouTubing is actually all about the money, but you wouldn't have thought the most successful practitioner in the world would be overly keen on reminding everyone of that.